Geologic carbon and hydrate reservoirs in the ocean pose a climate threat beyond humanmade greenhouse gases. A deep-sea reservoir near Taiwan spews carbon dioxide when its slurry-like hydrate cap ruptures. A new analysis has found that Earth’s oceans are heating up 40% faster than a United Nations panel estimated 5 years ago. Since the mid-2000s, a fleet of nearly 4,000 floating robots have been drifting throughout Earth’s oceans, every few days diving to a depth of about 1.25 miles (2,000 meters) and measuring the ocean’s temperature, pH, salinity and other bits of information as they rise back up. This ocean-monitoring battalion is called Argo. 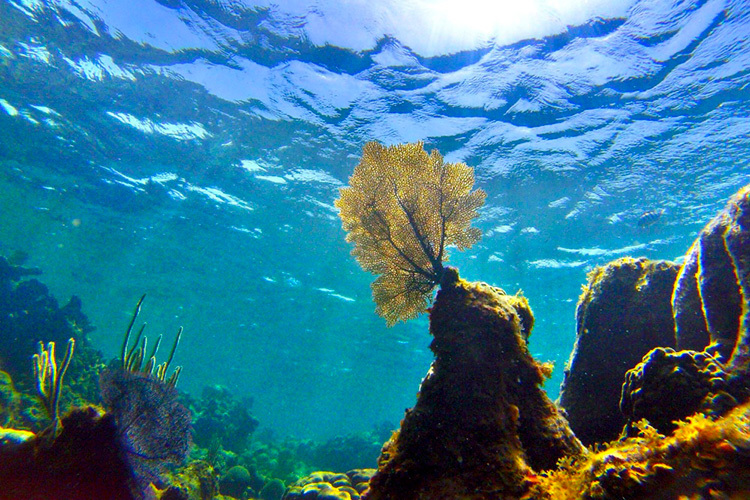 New research finds that ocean warming is accelerating more rapidly than previously thought. 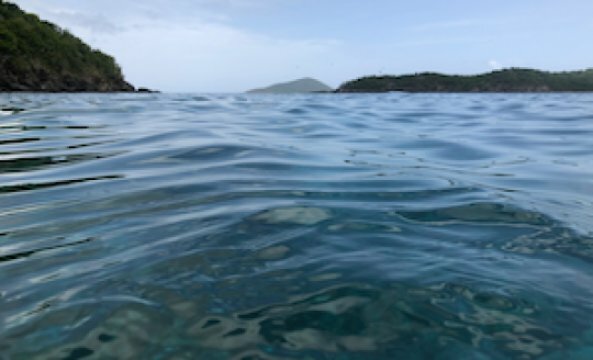 The new analysis, published January 9, 2019, in the peer-reviewed journal Science, found that Earth’s oceans are heating up an average of 40 percent faster than a United Nations panel estimated five years ago. If you want to see where global warming is happening, look in our oceans. Ocean heating is a very important indicator of climate change, and we have robust evidence that it is warming more rapidly than we thought. While 2018 will be the fourth warmest year on record on the surface, it will most certainly be the warmest year on record in the oceans, as were 2017 and 2016 before that. The global warming signal is a lot easier to detect if it is changing in the oceans than on the surface. Trends in ocean heat content match those predicted by leading climate change models. Overall ocean warming is accelerating. Image via ScienceDaily/Michele Hogan. Scientists are continually working to improve how to interpret and analyze what was a fairly imperfect and limited set of data prior to the early 2000s. These four new records that have been published in recent years seem to fix a lot of problems that were plaguing the old records, and now they seem to agree quite well with what the climate models have produced. Image via University of California Berkeley. A new study finds the world’s oceans are warming significantly faster than previously thought. The analysis, published Thursday in the journal Science, raises the stakes for curbing climate change. The study examined four new or updated Ocean Heat Content records — a fancy term for measuring how warm the ocean is, taking into account deeper water, not just surface temperatures — and finds the ocean warming is significantly higher than estimated in the last comprehensive report by the U.N.’s Intergovernmental Panel on Climate Change (IPCC) in 2013. Ninety-three percent of the excess heat trapped in the Earth’s system by human-caused greenhouse gas emissions is stored in the oceans. If it weren’t for this ocean buffer absorbing so much heat, our atmosphere would be roasting us by now. And that’s just the tip of the iceberg, literally. Warm water hastens the rate of glaciers melting, and expands the water column, and together the two phenomena raise sea levels. By 2100 the IPCC estimates sea levels may rise 2 to 3 feet, and some studies say more. The destabilizing effects of this on society are incalculable. For example, it’s estimated that rainfall from Hurricane Harvey was 15 percent to 38 percent greater because of climate change. As the ocean and air warms, extreme flooding events will increase. And that is where this study lays to rest a misconception about whether there was a global warming “hiatus” between 1998 and 2013. If you look at a short-term snippet of the surface temperature record, one could conclude that warming was negligible during that 15-year period. Those skeptical of climate change often refer to this to poke holes in the evidence. 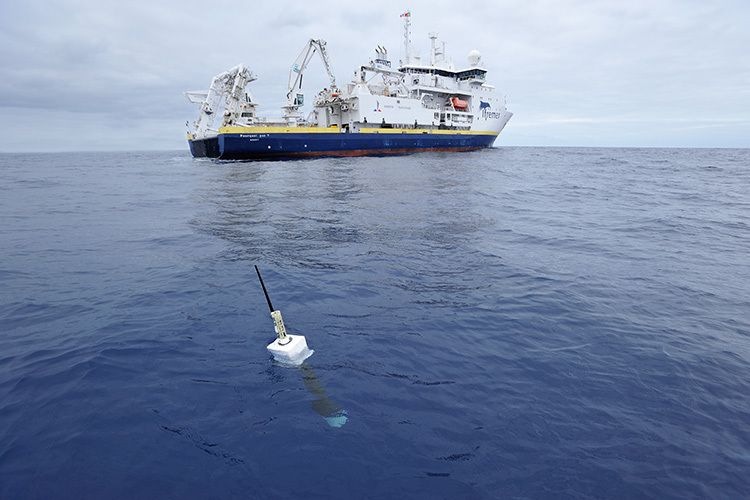 The improvement in the four new datasets examined in this study is due partially to new analysis methods and partly due to the development of a vast network of ocean sensors called Argo. It’s a global array of nearly 4,000 temperature and salinity profiling floats measuring temperatures as deep as 2,000 meters down. The study also lays to rest a long-standing discrepancy in the climate science community, namely the question of why climate models over-project ocean heating. According to this new study, it turns out they don’t. You have 9 free articles remaining. Oysters are a must on French dinner tables during the festive season, but shellfish farmers say climate change has caused production to plummet by up to 30 per cent. Many French producers fear warming temperatures may force oyster farms to move north in search of cooler weather, possibly outside France. Oyster production depends on cold winters when the shellfish “can rest and mature,” according to Yoann Thomas of the French Research Institute for Development. Mr Le Gal told the AFP news agency that just a 10-gram decrease in the weight of each oyster brings down the price. France’s 4,500 oyster farmers sold about 100,000 tons in 2017 at an average price of £4,500 per ton. Warmer sea temperatures also favour the spread of viruses that attack oysters. Over the past decade, up to three-quarters of young oysters have been lost to disease in some years, according to Fabrice Pernet of the Ifremer marine research institute. He warned that fish moving north to escape rising sea temperatures could bring new diseases to French oyster beds. Another French festive delicacy, foie gras, has also suffered a decline in recent years as outbreaks of bird flu have forced massive culls of ducks and geese. But farmers say production has returned to normal after two lean years. Daniel Coirier, head of a shellfish association in south-western France, said most French oyster farmers in his region are reluctant to migrate north. “Even if they’re not as big, our oysters are still magnificent,” he said.